Arjun Reddy, the recent Telugu blockbuster has hit the right chords at the Chennai Box Office and amongst many Kollywood Celebrities. 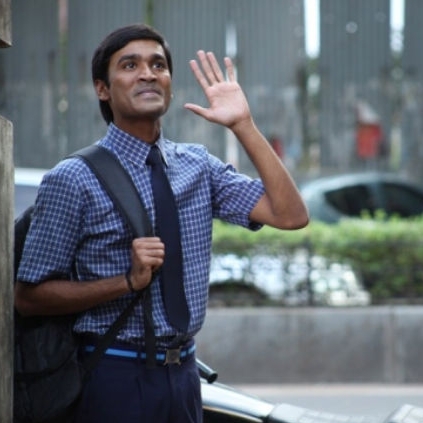 There was much news circulating online that Dhanush's Wunderbar Studios has acquired the remake rights of the film. So we got in touch with the official spokesperson of Wunderbar Studios, Riaz Ahmed to know if this was true. He said, "The news circulating are just rumours and not true. As of now, Wunderbar Studios hasn't purchased the remake rights of Arjun Reddy." OFFICIAL CLARIFICATION: Another Big budget movie footage leaked? Bite Controversy: Actress Madhumitha clarifies why she bite a lady? Mersal man to get married tomorrow! Bigg Boss: Kajal is the new Oviya, check out. People looking for online information on Dhanush, Riaz Ahmed, Wunderbar films will find this news story useful.